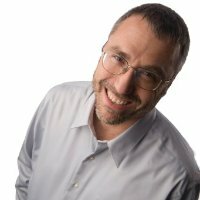 MXOtech Announces New Chief Financial Officer - Chicago, Oak Park, Evanston | MXOtech, Inc.
CHICAGO, December 6, 2016 – MXOtech, a leading, full-service IT company that provides a comprehensive suite of services ranging from Managed IT Services to Custom Software Development, announced today that it has appointed Steve Feldman to serve as MXO’s Chief Financial Officer, effective November 28, 2016. Steve brings an extensive financial, entrepreneurial, and operational acumen to MXOtech, leveraging his many years as CEO and owner of Techcare, a Chicagobased MSP. As Chief Financial Officer, Steve will provide strategic financial input to senior management, oversee the overall accounting processes, maintain a key role in developing and implementing financial and operational procedures, and work to drive customer satisfaction while maintaining a reasonable cost structure, profitability and managed growth. “I am excited to work with Steve on MXO’s continuing success and expansion of our business solutions. He has a remarkable track record and a keen understanding of the technology industry. We look forward to utilizing his many talents,” states Joanna Sobran, Founder and CEO of MXOtech. MXOtech, Inc. is a full-service IT company offering a comprehensive suite of services ranging from Managed IT Services to Custom Software Development. MXOtech clients are mid-sized organizations to enterprise operations competing in the fields of healthcare, associations/nonprofits, energy/utilities, and manufacturing/distribution, just to name a few. The managed IT offerings include 24/7/365 help desk support, on-site visits, network management, security, backup and disaster recovery, and cloud solutions. The application development department helps clients move away from their manual and antiquated processes into new ways of working with custom web applications and portals, systems and data integration, and business intelligence. Founded in Chicago in 2005, MXOtech was recognized as one of the nation’s fastest-growing outsourced IT companies by Inc. Magazine’s “Inc. 5000” list of America’s fast-tracked private companies. MXOtech also holds the MSPmentor 501 global designation as a leading, trusted provider of managed IT solutions, and has been recognized on the CRN Next Gen 250 list as one of North America’s top solution providers that have a specialization in emerging technologies. For more information, visit www.mxotech.com.